Wow! What a burst of color! 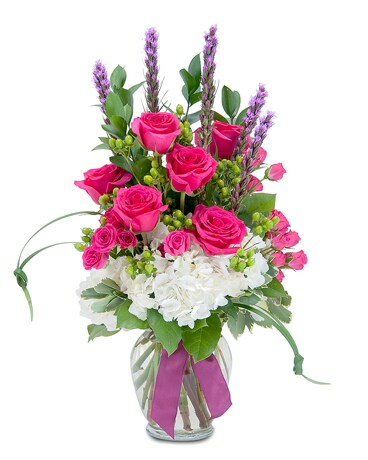 Blooms shoot out like rays of light in our Saved by the Belle bouquet. 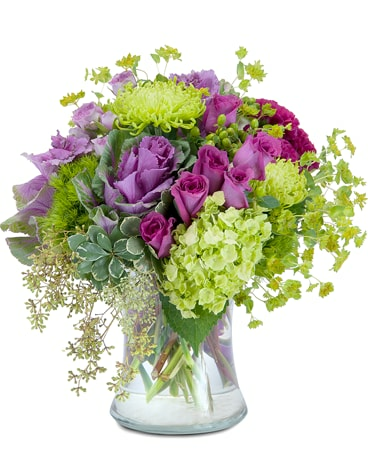 The yellow lilies really pop against the bright purples and greens in this array. 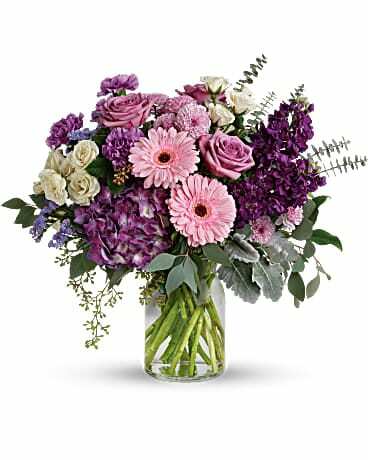 Other superstars in this lineup include spray roses, hydrangea, carnations and liatris.